Employees and students must sign their travel expense report form, attesting the information presented on the form is accurate and complete. All requests for reimbursement including travel advance reconciliations should be submitted to us within 20 days business days of the completion of the trip and no later than 120 days after the date of the completion. Travel and Business Expense Reports must include supporting documentation and a specific and clear bsiness reasons. 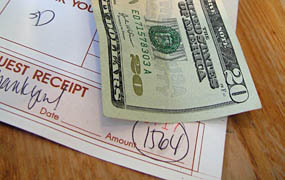 You must submit all original receipts to your department for expenses.